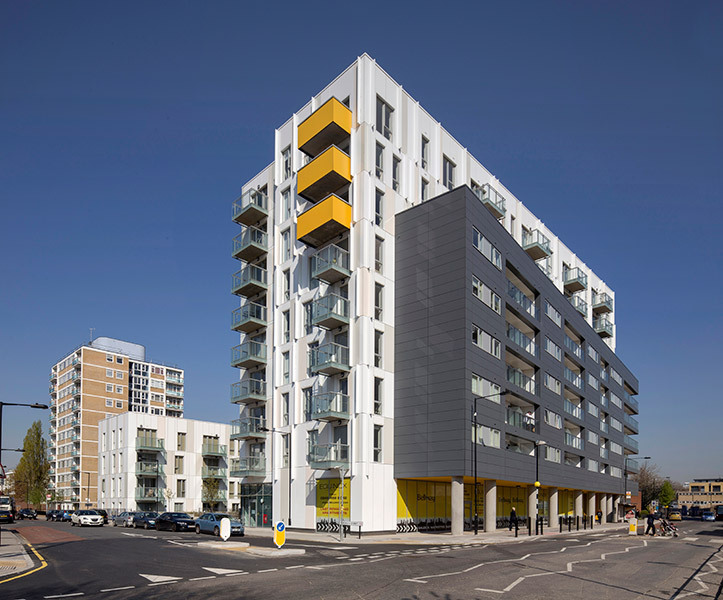 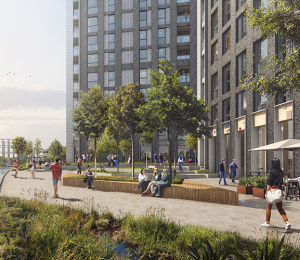 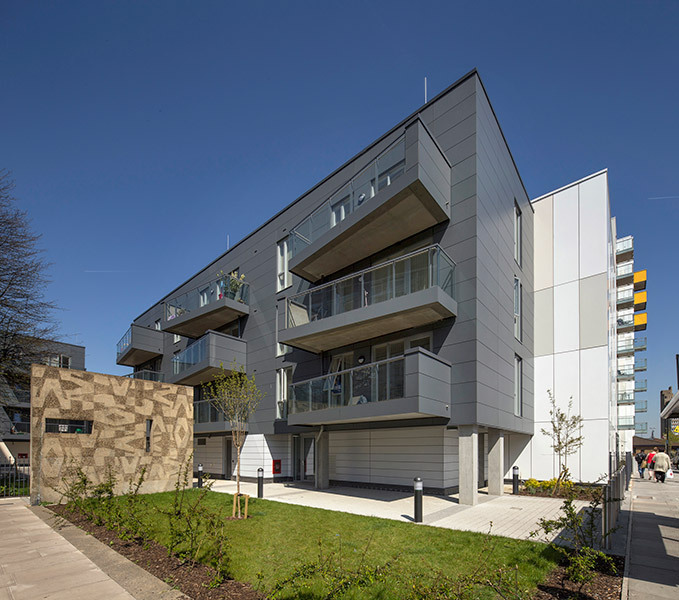 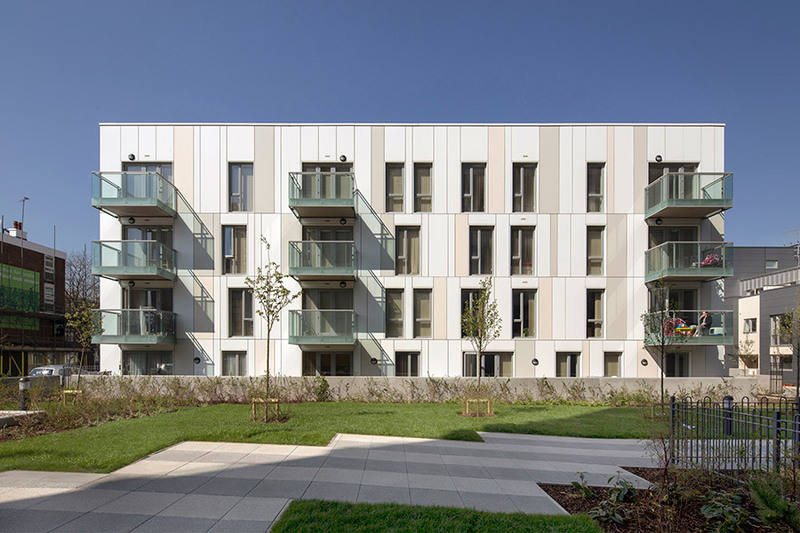 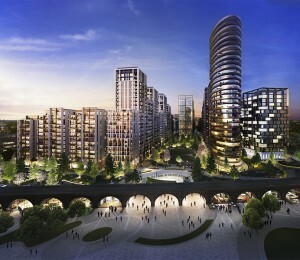 Equinox regenerates a disused site in Poplar, east London to deliver 117 new homes together with various landscaped public spaces, a children’s play area, 300m² commercial space and parking. 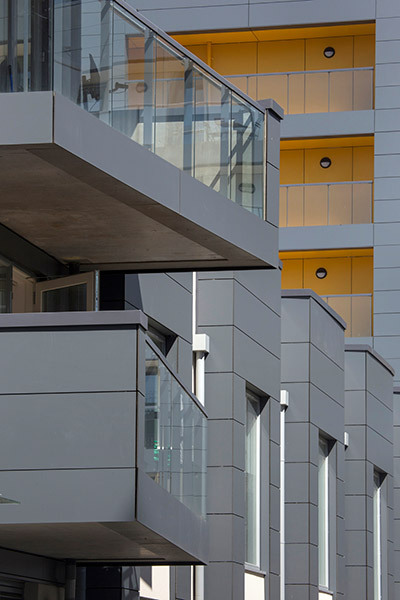 The striking development consists of four blocks of varying heights and finishes, with details such as irregular shaped balconies and bold yellow recesses to create interest when viewed at street level. 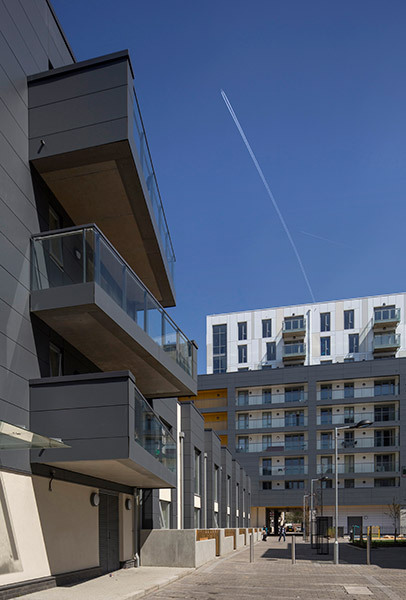 A central square encourages pedestrian activity across the site and features a decorative cast concrete wall, erected in the 1960’s to mark the end of the Festival of Britain route, which now becomes a landmark to the new development. 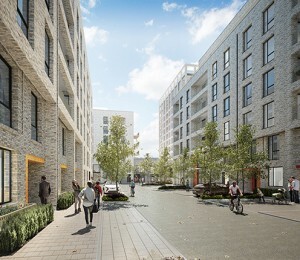 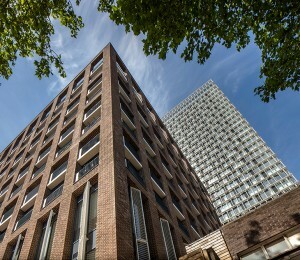 Equinox includes a wide range of housing types from one bedroom flats to five bedroom mews houses – encouraging a mix of families, single and dual occupants to create a balanced and sustainable community in the heart of Tower Hamlets.